Christ the King Sixth Form College recently celebrated over 20 years of outstanding teaching and learning. In honour of this occasion, the College launched a new Alumni Association, with the express aim of maintaining strong links with former students. Through these connections, we have established a thriving and supportive network which brings students together in a productive and positive way. Alumni will all have attended one of the three sites that make-up the College: Christ the King (Lewisham), Christ the King: Aquinas (Brockley); or Christ the King St Mary’s (Sidcup). Alumni members will be offered the opportunity to help steer the development of the association, join professional networks across a variety of fields and, most importantly, volunteer their time and experience to help support and guide current students. Alumni will be encouraged to get involved in a number of initiatives including providing case studies, helping with work or university interview preparation, providing work shadowing placements, and joining an e-mentoring programme. The Alumni Association was formally launched on 20th March, to coincide with the 2014 careers fair – a successful annual event that will be remembered by many former students. "At Christ the King we are extremely proud of our alumni, many of whom have gone onto achieve great success at university and their chosen fields of work. We are very excited about the new association and would love to hear from anyone who has studied with us over the last 21 years. By joining, our former students can share their experiences and make a real difference to current students in many positive ways." 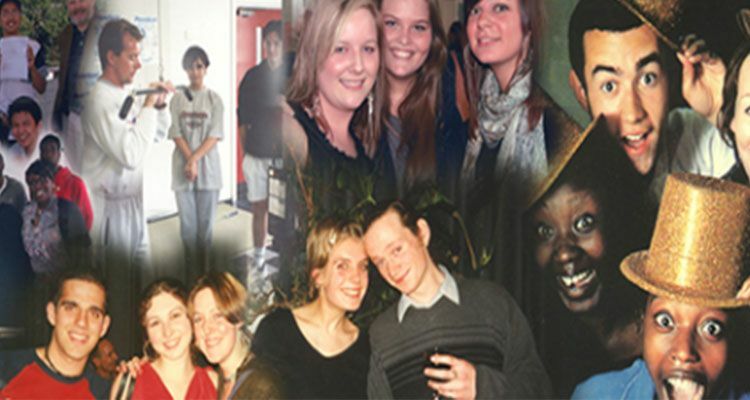 To find out more about our alumni association, please visit the website.